Social Impact Bonds (SIBs) are a social policy tool that claims to solve complex policy problems, such as homelessness, unemployment, and recidivism, through the scientific methods of financial modelling. Actively supported by several governments worldwide, SIBs provide a mechanism to turn the risky behaviours of vulnerable individuals into a form of profit making for private impact investors. SIB projects target population groups, such as the homeless, troubled youth, and obese, whose problems result in costly use of emergency-oriented public services such as shelters, prisons, and hospitals. In this way, SIBs are positioned as preventative, allowing future savings on costly public programs. These savings, also known as impacts, outcomes, or results are measured for their social value created (Dowling & Harvie, 2014). The SIB instrument places a current price on anticipated social value based on the assessed future risk that participants will not be reformed. Risks become a reward as investors bet on the extent to which vulnerable people will be transformed. Social Impact Bonds (SIBs) are a new tool in the arsenal of neoliberal capitalism that might best be seen as an extension of public-private partnerships into the realm of social policy. As part of the pay-for-success movement, SIBs marketize social policy in ways that empower venture capitalists to profit from the misfortunes of others. The solution to difficult social problems has been cast with SIBs as a profiting from pain model. The aim of our recent article in Policy & Politics entitled Austerity in the Making: Reconfiguring Social Policy through Social Impact Bonds is to identify future avenues for empirical research on SIBs to further assess how the tool reconfigures social policy and with what consequences for democracy and equity. Primarily, there is a need for empirical research on the various actors involved in advocating for, designing and delivering SIB projects. This includes the roles, ideas, interests and relationships between intermediaries, investors, evaluators and service agency partners. Of particular interest are those actors new to the social policy scene, including economists and MBA graduates with expertise in behavioural economics and financial modelling. The active involvement of these players in catalyzing the SIB marketplace can be understood as part of a recent movement known as philanthrocapitalism, which Linsey McGoey explains as a project that seeks to “…transform philanthropy into a more efficient and lucrative industry in itself” (110). Increasingly, as philanthropy has come to supplant public social provisioning through progressive taxation, understanding the ideas and motivations behind this newfound interest in social care is critical. With SIBs, the state is ceding parts of its policymaking, funding, delivery and management role to new consulting institutions of the philanthrocapitalist movement. This represents a trend where private experts frame public policy problems and solutions, raising critical questions for democracy. A shift to SIBs could extend the hollowing-out of public knowledge and accountability from the policy-making process. This would present a significant risk that requires academic investigation. It is particularly problematic because as SIB repayment is contingent on results, investors have an incentive to push for market rates of return and public subsidies. Negotiated rates of return and the extent that public funds are used to induce the private market should be made public and tracked through research. Another aspect of hollowing-out relates to the scale of government. The anti-statism underlying SIBs is directed towards national governments and their perceived incapacity to solve problems while local governments are often considered social innovators. However, local governments have more limited revenue-generating capacities and possess fewer state powers. A transition to local SIBs may serve to fragment and privatize public provision in the absence of adequate investment in the capacity of local government to redistribute access to services in local spaces. It may be left up to cash-strapped local governments to repay SIB investors, even if the seeming benefits of projects accrue to state or national governments. Research that explores SIBs from a politics of scale perspective can offer considerable insight on such potential challenges. Another area of inquiry might be to focus on the policy design of specific SIB projects. Neoliberal ideas at the root of austerity projects see the state as overly burdened by the high cost of spending on programs for large numbers of risky individuals. SIBs target the behaviour of particular population groups in order to prevent them from using what are understood as crisis-based public services. The notion guiding SIB logic is that the private sector invests in risky individuals through proven market-tested means and, in so doing, reforms those individuals into responsible citizens. The reduced demand from risky individuals for social services is measured as social value. However, the measurement of social value tied to profit-making risks targeting only those groups whose problems are the least complex; an incentive that should be further assessed. While SIBs emphasize complex problem solving, the instrument risks oversimplifying problems to what can most easily be measured. In particular, we are concerned that complex problems are being solved by assuming that they are purely behavioural in nature; a hypothesis that merits further consideration and analysis. Does it remain under-acknowledged that vulnerable populations are highly segmented based on intersections of class, race/ethnicity, gender, ability, age and sexual identity? The targeting of these groups based on their problems without acknowledging systemic oppression becomes a strategy that can deepen social divides as systems of inequity go unaddressed. Furthermore, SIB service users are under significant pressure to perform according to expectations, a situation that can increase their vulnerability. There is a need to study population groups participating in SIB programming through their own voices, including how they understand their own problems, and how the programs impact their sense of identity, well-being and opportunity in the long-run. Further studies should examine the degree to which service users are involved in SIB program design, implementation, and evaluation. 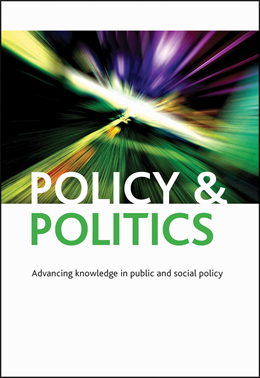 Finally, within these domains of research, we consider it important to examine whether the contradictory claims made by SIB supporters about accountability, partnership, localization and personalized policy-making might create openings for alternative framings of public policy problems and solutions in practice. This moves beyond critique to begin to explore the types of public programs and policy actions needed to realize these claims in ways that enhance democracy and equity. Neoliberalism as an object of political analysis: an ideology, a mode of regulation or governmentality?